Readers, my Christmas gift to myself this past year was an Amazon Kindle. There are some features that could be improved, but I can honestly say that I totally love it. For the past couple of weeks I've been reading the unabridged version of The Count of Monte Cristo. Hands down this is the most fun I've had reading since the whole Harry Potter series. I was basically aware of the part about tunneling out of prison, but it's SO much more than that. I can't recommend it enough. Just beware, it will impact your sewing projects. I've been working on Victorian shirt #2 between chapters. "Ok, I'll pin on the collar and then I can read a chapter." "Ok, I'll baste the collar and then read a chapter." "Ok, after sewing the collar I'll read a chapter." You get the picture. French cuff. 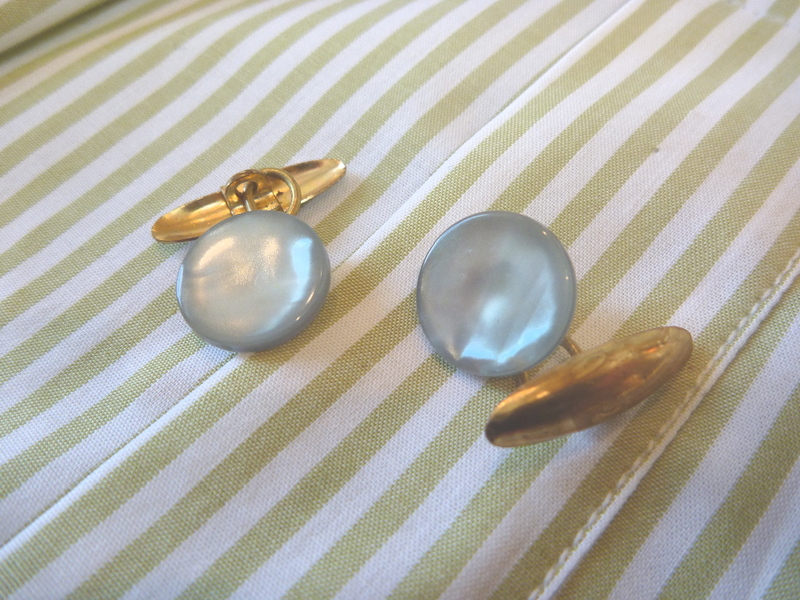 Of course this means searching for cufflinks! These little guys came in the mail yesterday. They're little green pearl buttons, although they don't photograph that way. Cute, vintage and cheap. Only $3.99! I seem to be forever altering this pattern. 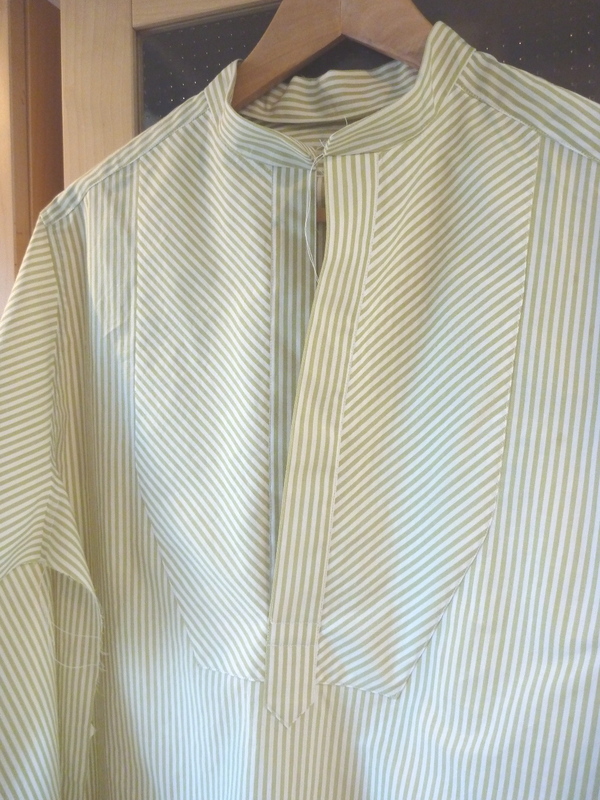 The original pattern, shown at the top, has a one piece collar that folds over. It's easy to make, but at the same time kind of unsubstantial. I've decided I'd rather have a two piece collar with a seam at the top edge. This should add some much needed body to the collar. Below the original is my new collar pattern. 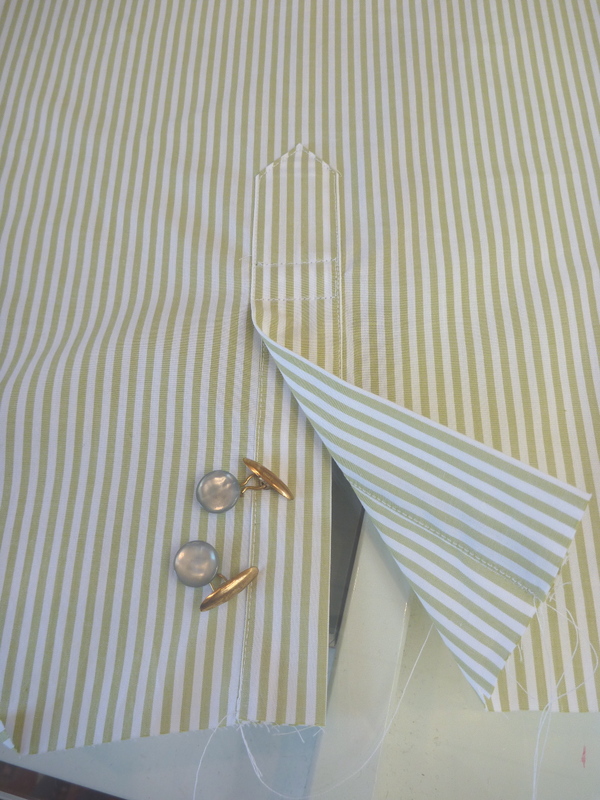 I lowered the front neckline when I increased my sloped shoulder adjustment. 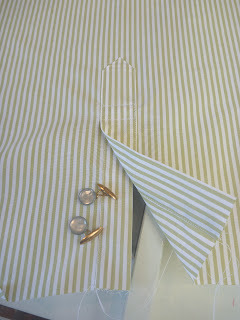 As a result the collar needs to be 1/2" longer. You can see where I cut and taped in little sections of paper. At the bottom of the photo are my new collar pieces, one of which is interfaced. 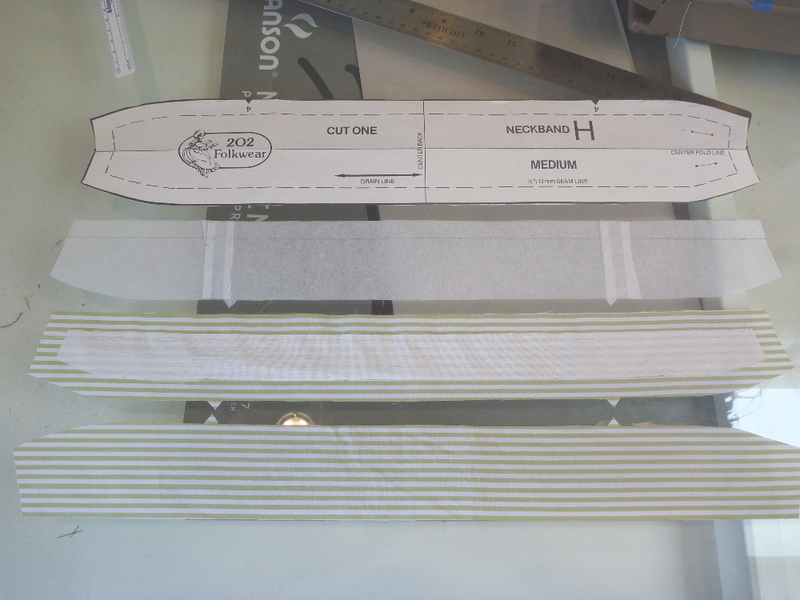 The neck edge is staystitched and clipped. 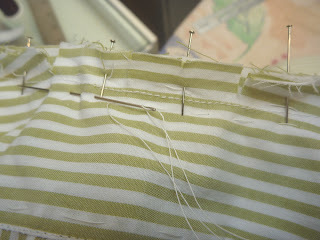 In addition to pinning on the collar, I also take the time to baste it below the staystitching. This helps avoid any little gathers that will just have to be ripped out and re-sewn. Oh, how I hate that! I got one of those for Christmas too. Do you purchase e-books that you already own in print? I'm struggling with this minor dilemma- instead of dealing with matching up checks (plaids). Love your shirts BTW, perhaps I could direct you to http://off-the-cuff-style.blogspot.com/search/label/SHIRT%20Sewing%20Tutorials, if you haven't been there before. Just inspiring! Ruth, thanks for that link! I could spend all day reading it. What a gold mine of information. Yes, decision time.. read Kindle, read blogs, or do something constructive? Count of Monte Cristo is one of my favorite movies of all times..I must have seen it a dozen times. :) You peaked my curiosity with " there's more beyond the tunneling...."